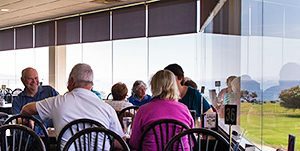 With stunning ocean views Paul’s on the Course represents a coastal dining experience not to be missed. 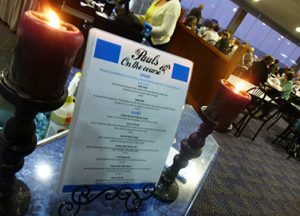 Paul’s on the Course love to use as much fresh local ingredients they can source with a menu reflecting the abundance of delicious produce the coast has to offer. 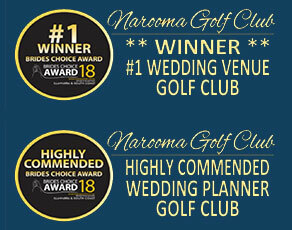 Our fresh local seafood, for which Narooma is famous, features prominently in the menu. Fresh local oysters are available lunch and dinner. Paul and his experienced team of chefs work with the freshest seasonal produce to create wholesome and delicious meals. With a specials board full of innovative and creative dishes offered each day. Children are welcome at the Brasserie and Paul has prepared a healthy and tasty children’s menu. 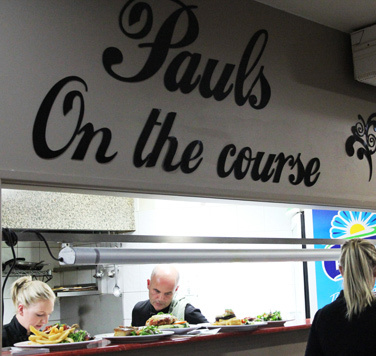 Paul’s on the Course is open at 10am every day for morning tea with excellent coffee and homemade cakes and slices. Lunch is served from midday until 2pm with an emphasis on lighter lunches befitting the season. Coffee and cake will continue to be served all through the afternoon followed by dinner from 6pm.